The current iterations of the Nissan Rogue and Ford Escape have been on the market for some time and both have proven to be dependable, versatile and quality options when searching for a compact SUV. While these two SUV models compete directly, there are some areas where you'll find that the Nissan outperforms the Ford, especially in base trim forms. Performance Nissan invites Florida motorists to compare the 2019 Nissan Rogue and 2019 Ford Escape and visit our dealership in Pompano Beach, FL for a complete tour and test drive of any one of our new Nissan Rogue SUVs for sale. If you're looking for an affordable compact SUV that's well-rounded and offers impressive features for your money, it's tough to top the 2019 Nissan Rogue. 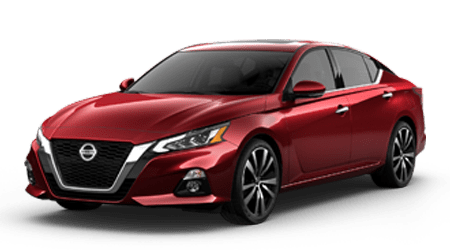 The Rogue S base trim boasts a standard 170-hp, 2.5-liter 4-cylinder engine aided by an Xtronic CVT gearbox that helps this Nissan deliver stellar EPA-estimated fuel economy ratings of up to 26 MPG city and 33 MPG highway. The comparable 2019 Ford Escape S base trim doesn't quite match the Rogue's efficiency, offering up to an EPA-estimated 21 MPG city and 29 MPG highway from its 168-hp engine of the same displacement as the Nissan. While Ford offers the 2019 Escape with a choice of two additional turbocharged engines at a higher price, if you're looking for power and efficiency at a low price point, get into a 2019 Rogue! Step inside the 2019 Nissan Rogue S base model and you'll find a superb array of standard cabin technologies to enhance your drive and safety. Every 2019 Rogue SUV boasts two LCD monitors that display important vehicle information, including a tire-specific low tire pressure warning. In contrast, the 2019 Escape offers just one LCD monitor and its low tire pressure warning doesn't alert you to which tire needs inflating. There's also the array of driver-assist features that are standard on every 2019 Rogue, including a blind spot sensor and automatic emergency braking. For those types of features on the Ford, you'll need to upgrade to a costlier trim level. Many drivers turn to compact SUVs to maximize space and versatility within an agile vehicle, and the new Nissan Rogue certainly impresses on this front. With 106 cubic feet of overall passenger volume plus a maximum cargo capacity of 70 cubic feet, it tops the 2019 Ford Escape in space for both cargo and passenger hauling duties. You'll find that the Escape's 99 cubic feet of passenger volume doesn't afford quite as much room for both front and rear occupants, and its smaller cabin space certainly cuts into cargo capacity, too. If you plan on keeping the rear seats upright for passenger use, you'll find 5.3 cubic feet more space in the Rogue's cargo area than in the Escape's. We invite you to explore the 2019 Rogue's innovative Divide-N-Hide Cargo System at Performance Nissan today! Why compromise on fuel efficiency, interior space and cabin features and technologies when you can drive the stylish and affordable 2019 Nissan Rogue? Find a competitive price on your 2019 Rogue of choice here at Performance Nissan, where we stock the full lineup of distinct trim levels of Nissan's top-selling compact crossover SUV! Our dealership team is here for your with Nissan lease and finance offers, as well as a dedicated service center for future routine maintenance, so don't hesitate to count on us for all of your automotive needs. Visit us from nearby Fort Lauderdale or Boca Raton, FL for your new Rogue SUV!